Cigarette butts are the most littered item in the world, with 4.5 trillion discarded annually, causing economic and environmental damages and harming the health of humans and wildlife. Learn more. Litter consists of waste products, usually man-made objects thrown onto the ground, that have been disposed of improperly, without consent and in an inappropriate location. 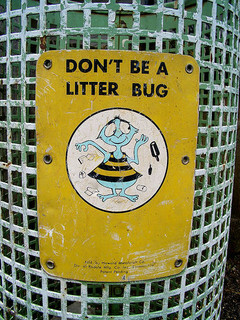 Research shows about 85% of littering is the result of individual attitudes. Changing individual behavior is key to preventing litter. Once litter is on the ground, it attracts more litter and will eventually become ocean litter since the ocean is downhill to everything. On the flip side, a cleaner community with more readily available trash and recycling receptacles actually discourages littering and improves community appearance and quality of life. Ultimately, littering is a personal choice that can stem from a lack of personal responsibility for one’s actions and surroundings. Litterers may also have a sense of entitlement, a feeling that other people, especially those who get paid to, should clean up after them. According to KAB, "Nearly one in five, or 17% of all disposals observed in public spaces were littering, while 83% disposed of litter properly. And 81% of littering was intentional, e.g., flicking, flinging, or dropping. On the other hand, individuals who hold the belief that littering is wrong, and consequently feel a personal obligation not to litter, are less likely to do so. Some people feel no sense of ownership for parks, walkways, beaches, and other public spaces. They believe someone else will pick up after them; that it’s not their responsibility." Learn more. Litter is more than just an unpleasant view along city streets and highways. Litter pollutes waterways, leaches toxic chemicals into soil and groundwater as it breaks down, reduces the aesthetic appeal of public places including streets, parks and waterways, can kill aquatic life directly (e.g. 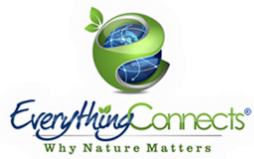 through choking or consumption) and indirectly through its impacts on water quality. Every piece of litter damages the economy and environment, poses threats to wildlife and can harm human health. Littered items are a lost resource. When items that could otherwise be recycled, like plastics, glass bottles and paper, are littered, they do not end up in the recycling stream. We must significantly reduce the amount of litter in our environment to protect the health, safety and visual quality of the environment, people and wildlife. Learn more.